Frechen/Germany, September 2013 – High-performance fillers from HPF The Mineral Engineers, part of the Quarzwerke Group, are based on naturally occurring and synthetic minerals such as quartz, wollastonite, kaolin or mica and can impart amazing functional or optical properties to plastics. Recent innovations include Silatherm®, a filler which substantially increases the heat conductivity of thermoplastics and thermosetting plastics, as well as Silglow®, an after-glowing filler. 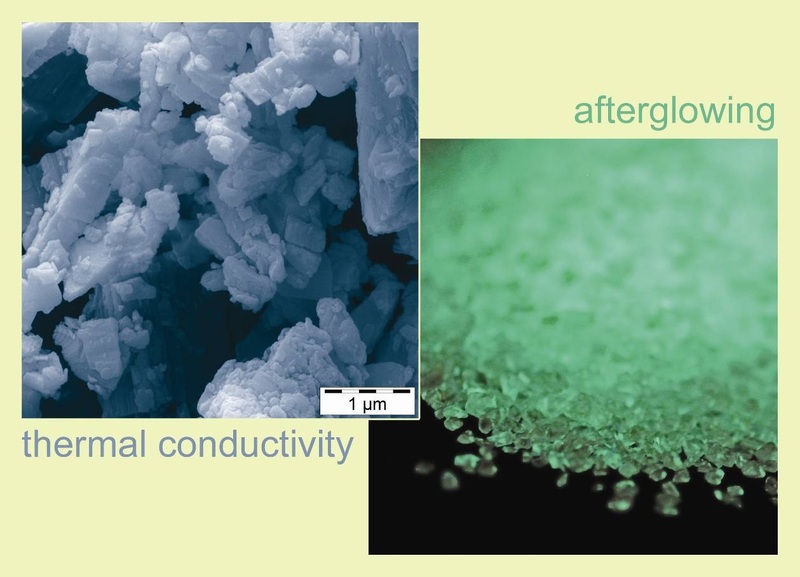 The use of Silatherm® for boosting a product’s thermal conductivity eliminates one undesirable side effect often associated with metallic fibers or powders employed for this purpose, i.e., the compounds containing Silatherm® retain their good electric insulating properties. As Dr. Dirk Kruber, Head of Product Development, notes: “With today’s ongoing miniaturization, electronic devices contain ever more components of high energy density. Another distinct functionality is provided by the Silglow® filler, which features a special inorganic coating of very high mechanical and thermal stability. Its fused silica grains absorb daytime sunlight or light from any other source and emit it in the dark. A lasting afterglow capability can thus be imparted to thermosetting plastics, paints and coatings. Thus, Silglow® is suitable for creative designs and security technology applications alike.